Pittsburgh Pathwork is pioneering a fast-track Pathwork Transformation Program (TP). Leaders from outside the area will join Pittsburgh Pathwork Spiritual Director, Sue Van Doeren, for 10 3-day workshops for two and half years (the traditional program is more spread out, over five years). The obtaining of one’s quest for authenticity, wholeness and enlightenment, does not require lightning flashes or the discovery of some holy grail. It simply requires a slight shift in position, namely, owning our negative thinking. 2. choosing to own these as thoughts you do not wish to empower. You simply acknowledge their presence, thank the mind for “sharing,” and choose to allow in divine guidance. What’s at stake is one’s relationship to all of life. The universe is constantly streaming us love, guidance and wisdom. It’s in and around us all of the time. And our negative thoughts act as a force field preventing us from allowing these streamings to enter our consciousness. When we own our negative thinking, we instantly (at least momentarily), dissolve this force field and allow the wonderful streamings to enter – at least until the next negative thought enters. The game is to get better and better at quickly identifying, owning and releasing these negative thoughts. 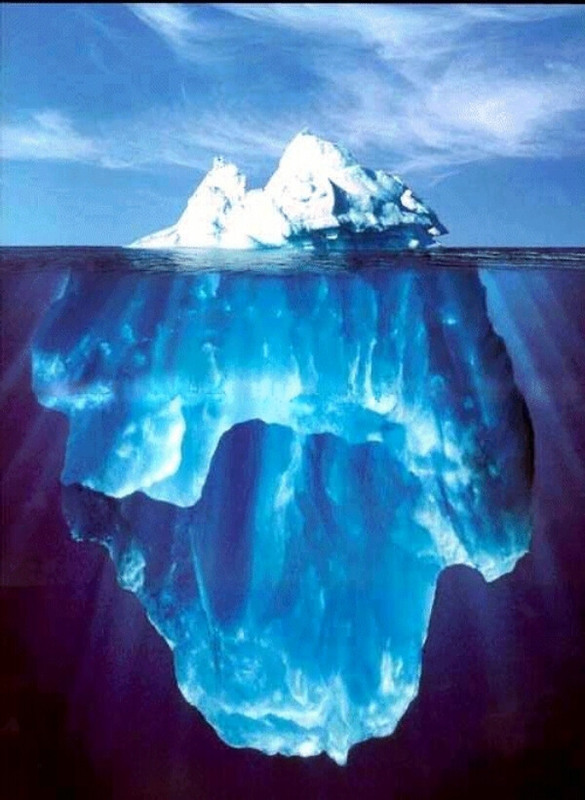 Our experience of living, especially in our western materialistic culture, is a tiny fraction of what is available to us – the tip of the iceberg. When you repeatedly dissolve the negative energy force field, over time what you will experience is an amazing abundance of love, energy, wisdom and joy. At every moment you have the ability to bring this about. Set a reminder on your computer, put a post-it on the fridge, conspire with your friends, but find a way to constantly remind yourself that owning, vs. empowering, negative thinking is the gateway to a wonderful, abundant, miraculous experience of living. Share your own thoughts, reflections or stories inspired by this message by posting a comment below.